Intel drones will collect images from sections of the Great Wall of China and use 3D modelling to identify damaged areas. Beijing: China plans to use artificial intelligence or AI and drones to protect the Great Wall. Under an agreement between the government and the US tech giant Intel, the world's second largest manufacturer of semiconductors and microprocessors, and the China Foundation For Cultural Heritage Conservation will explore ways to collaborate in the inspection, repair and preservation of the Great Wall, Xinhua news agency reported. To begin with, Intel drones will collect images from sections of the monument and use 3D modelling to identify damaged areas. 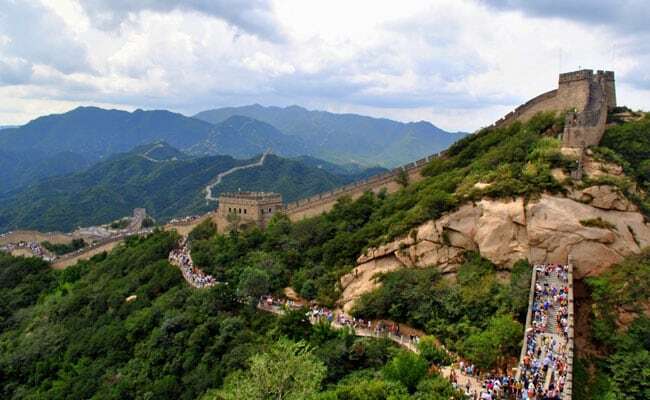 "The use of the latest technologies, will provide a new perspective of the protection of the Great Wall, and show us the great potential of science and technology in cultural heritage protection," said Li Xiaojie, director of the China Foundation For Cultural Heritage Conservation. The Great Wall, a symbol of China, is actually not just one wall, but many interconnected walls built between the third century B.C. and the Ming Dynasty (1384-1644). With a length of over 8,000 km, the Great Wall, made up of numerous walls, connected to each other and built during different Chinese dynasties, is under threat from water and wind erosion as well as human activities in its vicinity, making its restoration difficult, owing to its enormous size.